While we have a few pretty fantastic accolades (including being named one of Bon Appetit’s 10 Best New Restaurants in America), we believe it’s our connection to the community and our deep partnerships with farmers and purveyors that really sets us apart. Take a look at our menus to see how we select the freshest seasonal and local ingredients to create an elegant, innovative menu of upscale farm-to-table fare for our guests to enjoy in our dining rooms, on the patio, or at a location of your choosing. 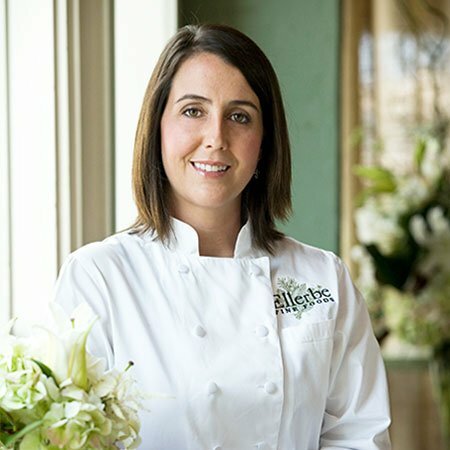 Molly McCook is co-owner and executive chef at Ellerbe Fine Foods. Trained in sustainable dining practices in some of the country’s finest restaurants, Chef McCook brings a special touch to her innovative, seasonal menu items in the Ellerbe kitchen. Chef McCook fondly remembers her childhood in Shreveport, La., where the garden provided fresh ingredients for her family’s cooking. She spent a lot of time at her grandparents’ house on Ellerbe Road, which she honors in her award-winning restaurant. Molly arrived in Fort Worth in 2006 after developing her culinary skills across the country. She originally left Shreveport for Colorado State University in Fort Collins, Colo., where she earned her bachelor’s degree in restaurant and resort management. Inspired to focus on cooking, she moved to San Francisco as a student at the California Culinary Academy, where she earned the Danielle Carlisle Award for excellence in culinary studies. While in California, Molly completed an internship at Gary Danko, and she worked at Stars under Amaryll Schwertner, where she learned to develop innovative menus around seasonality, local ingredients, and sustainability. Chef McCook was sous chef at Luques under Chef Suzanne Goin, an early apprentice of renowned chef, restaurateur and passionate proponent of sustainable dining, Alice Waters. Molly’s skills and menus reflect this heritage of culinary apprenticeship to the finest locavore chefs worldwide. Richard King is co-owner and general manager of Ellerbe Fine Foods. 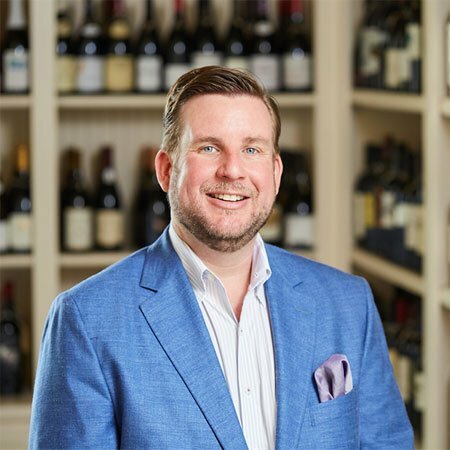 Richard also spearheaded Ellerbe’s wine program, White Gloves, Purple Teeth, expanding the restaurant’s services beyond on-premises consumption and retail. Along with childhood friend Chef McCook, Richard is a native of Shreveport, La., where he left to attend and graduate from Texas Christian University in Fort Worth. No stranger to the restaurant world, Richard worked in the restaurant industry – in every role from busboy to manager to back-of-house sales and consulting – for nearly 15 years prior to launching Ellerbe. After nine years in front-of-house operations, Richard transitioned his experience into consulting with Strategic Equipment, which led him to a position at the Fort Worth-based Buxton Corporation from 2005 – 2008. At Buxton, Richard honed his public speaking abilities, giving presentations on retail and restaurant trends at national and state-wide conferences. In June 2009, Richard and Molly opened Ellerbe Fine Foods in Fort Worth’s Near Southside. Today, Richard is chair of the beverage committee for the Fort Worth Food & Wine Festival, and he is a member of EO. Chester Cox is director of wine sales and services for Ellerbe Fine Foods. He provides a wide range of wine services both in and outside the restaurant within Ellerbe’s White Gloves, Purple Teeth wine program. 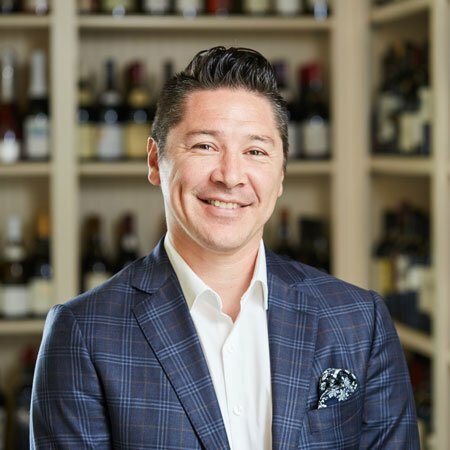 Chester is a 25-year hospitality veteran, with prior roles including sommelier for Del Frisco’s Fort Worth for 11 years before helping to open Kent & Co. Wines as wine director and retail manager. Chester is a level 1 sommelier with the Court of Master Sommeliers. He is a member of the Fort Worth Foods & Wine Festival beverage committee, of which Richard is chair. Chester has been the wine chair for The Big Taste of Fort Worth event since 2017.